Wherever you are in the country, you'll be aware that we are currently living in what future generations will dub The Great Irish 'Ginaissance'. Sales of the zing-y spirit grew by 31.6pc in 2016, and exports of Irish gin tripled in 2017. As any gin drinker knows, this is partially down to Mother's Ruin going through the mother of all makeovers. Dreary tumblers have been replaced by giant glass goblets filled with berries, pieces of topiary and hefty chunks of smoking ice. 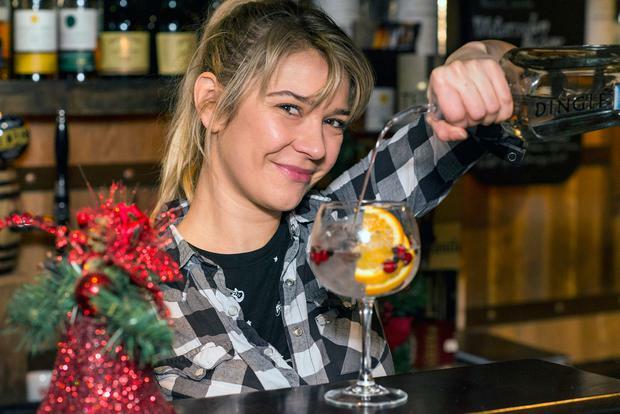 Our national love of gin is becoming obsessive - you can now buy gin-filled Christmas baubles and G&T bathsalts - so you can smell just like a gin joint. As the drink's popularity increases, so too do the demands of its drinkers. Coming into winter, many disconcerting gin connoisseurs are on the hunt for a drink that offers all the festive fireside appeal of cream liqueurs, brandy, or an earthy red. Which explains why winter berry and seasonal gins are having a moment. 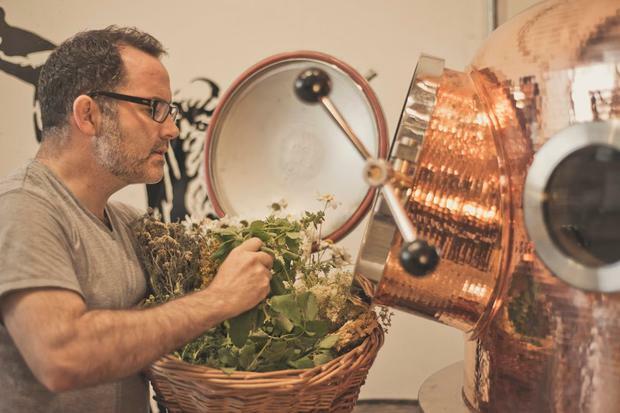 Gary McLoughlin of Glendalough Gin produces the country's only range of seasonal gins by foraging on seasonal flowers in the Wicklow mountains. The distillery's Wild Winter Botanical is infused with rowan berries, Douglas fir, hawthorn berries, cassia, and myrtle. The company uses local forager Geraldine Kavanagh, of Wild Wicklow Foods, to gather the seasonal produce. "It means you are getting a real terroir," she told the Irish Independent. "You're tasting a gin from a very specific time and place, you're tasting the hills around Wicklow. And it means you're getting those warm winter spices and flavours that are so familiar and comforting." The desire for warm winter-y gins may explain the boost in gin infusions. Last month, Blackwater launched Barry's Tea Gin which is infused with Sicilian lemon, Spanish Orange and, of course, Barry's Classic Blend. And sales of sloe gin - infused with fleshy drupes - are on the up. Cork-based Bertha's Revenge Gin released a limited edition sloe gin this winter, selling out nationwide well before Christmas. "Sloe gin is made from infusing gin with, but people like to mix it with prosecco which tastes a bit naughty," producer Anthony Jackson said. Head distiller of Shortcross Gin, David Boyd, believes the spirit's versatility means it can be adapted to suit any time of year. "There are so many botanicals and flavours that you can draw out a different aroma and taste in every drink," he said.